Well, we go to the polls on the 7th May and it seems like the only thing that is sure – is that noone is sure how the vote will turn out. 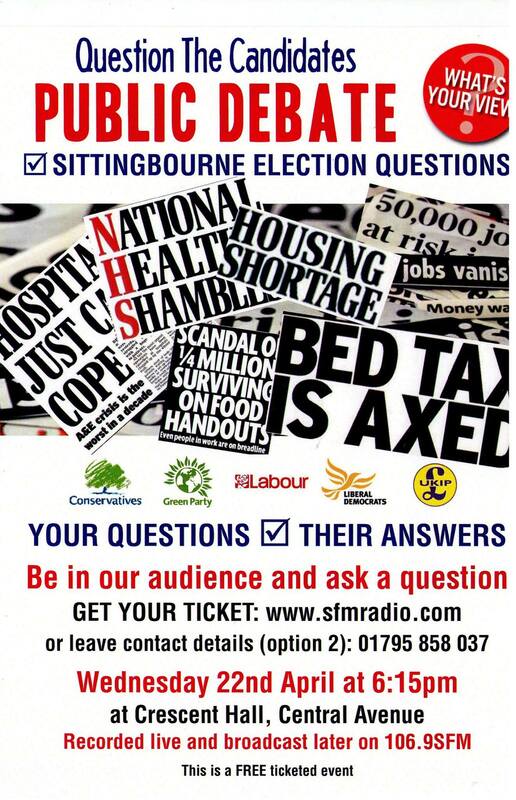 In Sittingbourne, local radio station 106.9 SFM held a an election debate between 5 of the candidates hoping to be the next Sittingbourne & Sheppey MP. Subjects such as help for small businesses, the future of our local ambulance service, supporting the fishing industry, staying in or out of the EU, cuts to children’s services, mental health and local housing were all discussed. All the questions were written and asked by the audience. This is the first time the candidates for Sittingbourne & Sheppey have debated live on local radio together.